Since 2008, Marvel Studios has been work crafting what is largely known as the Marvel Cinematic Universe. Introducing and re-introducing characters such as Iron Man,Hulk, Thor and Captain America to movie-going audiences over the last four years, the company brought it all together last month with Joss Whedon's The Avengers and the results were spectacular. 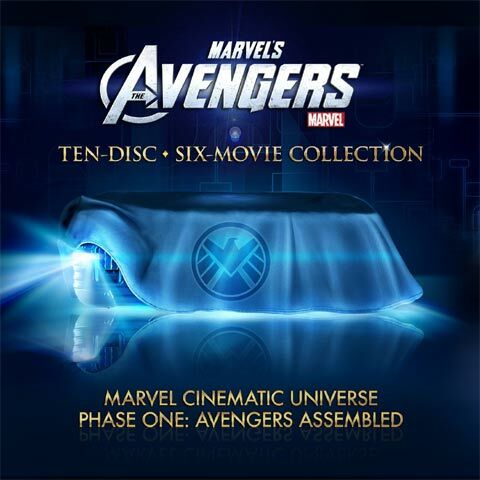 Because of the way Marvel works, it was only a matter of time before they started working towards creating a Blu-ray box set and now it seems that their work is almost completed. Here's the big problem, though: this box set is obviously intended only for the biggest fans of the franchise, but all of them probably own all of the previously released films on Blu-ray already (I know that I do). So will this set be worth? The price tag for the set is $153.30, or $25.55 per film, which is actually pretty pricey. So what do you think? Will you buy the Marvel Cinematic Universe: Phase One box set?